Last night, James Harden took home the NBA’s Most Valuable Player trophy just a few short weeks after the Golden State Warriors won the ‘chip, leaving little question about who’s dominating on the court. But at STN Digital, we wondered: Who was this year’s NBA Social Media MVP, which wasn’t so cut and dry. There’s always some buzz around the annual NBA Twitter Complex rankings, a topic that’s led to some unsettlement within the industry. From our perspective, the rankings read like something that was created by an outsider, not the people that pour blood, sweat, and tears into their team’s social feeds. Each team had a chance to vote completely anonymously, behind closed doors. We heard back from about half of the 30 NBA teams, which was enough to find some trends. The first section of the survey was subjective: “Who were the top 3 teams on social and why?” In the second section, we asked voters to rate all 30 teams on a scale of 1 to 5 (1 = not great, 5 = crushed it). Once the votes were in, we took the average of each team’s ratings, determining their rank order. In an effort to make the poll as unbiased as possible, we only included one submission per team to count towards the overall average. Starting our top 10 countdown, the Cavs worked their way into the #10 spot. Although the Cavs fell short to the Warriors on the court, when it comes to social, they played a winning game. Their #WhateverItTakes campaign was well-executed across all platforms through the use of clean graphics and aesthetically pleasing photography. But with that said, it was “safe” content and lacked a standout factor, which is necessary to make it any higher on the list. Despite being a lottery team on the court, the Hawks came in at #9 amongst their peers. When it comes to “savagery,” ATL is known across the sports world to troll with the best of them. Additionally, they have well-branded content, they spoke to their audience and interacted with fans, generating high engagement. Keep it up Hawks! The Minnesota Timberwolves took a big step forward this season, making them one of the most improved teams in terms of social performance. Some of that may be attributed to new hires on the social team. Big S/O to the Timberwolves making number 8 in the countdown. Milwaukee is consistently pushing out high-quality content which is clearly shown as #7 on our social performance countdown. They have a unique ability to make you feel apart of the team through their relatable photography and clever posts that give you an inside look at the lives of the players and team. They have a high visual appeal and a voice to match. Go Bucks! The Raptors turned a lot of heads on social this season. When it comes to branding, they kept it clean and fresh while not being afraid to step outside the box. Their pop culture references were timely and witty (for very biased reasons, this House Raptodor was one of our favorites). Their YouTube content was best-in-class, which is a platform that often gets overlooked. With this impressive combination, the Raptors earned a #6 from their peers. One of the biggest discrepancies from the Complex Rankings is the Utah Jazz. After being buried all the way at #20 by Complex, the Jazz garnered a ton of respect from their peers, climbing 15 spots up to top 5 on our list. Even without a lot of access to their players, the social team in Utah has found a way to create fun and exciting content. Their tone is consistent and #onbrand and the assets (photo, video) are high quality. When it comes to taking risks and trying new things, the Kings lead the charge. They are constantly finding new ways to engage not only their audience, but #NBATwitter in general. 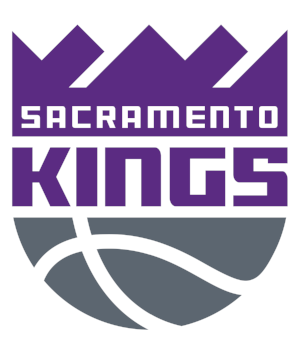 The Kings are not afraid to jump on trends, even before they’ve become “trends.” Despite a tough season on the court, their social team pushed the envelope making them one of the top teams to follow on social. Earning a spot in the top 3 takes a high level of consistency throughout the entire season. The Rockers had the NBA’s best record on the court, and their social content wasn’t too far behind. Not much else needs to be said here from our end, just read the comments above. Without a doubt, The Blazers’ creative & social team know how to show off their brand, making them among the best in the business (#2). *Again, there was absolutely no input from any STN employees on these rankings. We weren’t really sure what to expect when we sent out the survey. As the results came in, it became clear that all the other teams were fighting for 2nd. The Sixers were clearly this year’s NBA Social Media MVP! First off, huge shout out to all 30 NBA social/digital teams that work tirelessly to offer fans relevant, eye-catching content throughout the entire season. Your work rarely gets the recognition it deserves. There was quite a bit of parity and it was fascinating to see the results and read the comments. As we mentioned, consistency is what lifted teams to the top of the rankings this season. Every social team has the ability to create graphics, produce dope highlight reels, or spit fire tweets. But, to push the envelope 365 days a year… that’s impressive. Now that we’ve analyzed the past, it’s time to look ahead at the future. Social media doesn’t sleep and for the NBA’s social teams, the 2018-19 season has already begun! Here at STN Digital, we see a few trends taking shape. On top of producing high-quality content and maintaining consistency, as we saw in the 2018 season, we foresee vertical storytelling as an area for opportunity. With the new release of IGTV, the ability for teams to take advantage of longer form video content inside a new vertical format, could take their social game to the next level. However, Instagram is gambling that people want to consume long-form content vertically. We don’t argue vertical content has its place among the tech world, but is it right for videos longer than 60 seconds? Do you want to hold your phone for that long? We humans see the world in landscape, so for social teams and content creators to put so many eggs in the vertical basket could be considered risky! With that said, let’s not forget about YouTube. They often get left out of the conversation when talking about social media — especially when there’s a lot of pressure to get video impressions on team sites. Regardless, whether it’s short or long form, being consumed vertically or horizontally, premium style content is, and will always be, the future. We’re excited to see that battle continue into the 2018-19 season! STN is a social media marketing agency trusted by the largest sports and entertainment properties in the world. The NBA Awards, NBA Draft, Superbowl, March Madness, UFC, Stanely Cup, Emmys, and the Oscars are just a few projects we’ve worked on in the past. We bring award-winning results (literally) and treat each client like they are our only client. If you’re interested in learning more about how STN can help you, click the button below!